We encourage you to feel comfortable using your credit card to conduct commerce on our site. If you wish, you may also send us your order via mail or fax along with a check. Personal or business checks will delay your order as we must wait for your funds to clear before we ship any merchandise. Goods are charged at price shown on the product pages on the date the customer places the order. Sales tax is collected from Illinois customers only. Prices are correct at time of publication. Errors and omissions are accepted. Orders will be processed at our published prices, otherwise, in the case of any unexpected change in price, you will be informed and asked if you wish to reconsider your order before proceeding. Our shipping costs for most items are based on each item's size, weight, shipping method and delivery address. The actual shipping cost may be higher if a different shipping method is selected and will be shown during checkout. Shipping estimates are based on locations within the continental US & Canada.. For shipping out of the continental US or Canada please contact customer service to receive a quote. Orders ship FOB Crystal Lake Illinois, USA unless otherwise noted. Do not sign for and/or do not accept receipt of any products that are visibly damaged. If a product appears to be damaged, please refuse delivery of the item and notify our customer service department immediately at: 815-276-0299. From time to time we may offer our customers coupon codes with discounts that can be applied to their next order. These coupons are intended for their stated promotion and period. Validity may depend on minimum purchase amount, brand, product or customer status. Coupons cannot be used in conjunction with any other coupons or promotional prices. In addition, coupons cannot be used retroactively and cannot be applied to completed, past or shipped orders. Every item we sell is carefully inspected before it is shipped. Items can be returned for credit within 30 days of receipt for a full refund, less 20% restocking fee. Shipping charges are not refundable. No products will be accepted for return more than 30 days after date of purchase. To return any product, you must obtain a Return Goods Authorization (RGA) form. To obtain an RGA form and shipping instructions, please call our customer service department at: 815-276-0299. Requests for returns are generally processed within 1-3 days and you will receive shipping instructions along with your RGA form. Please note: items returned without an RGA form will not be credited. When returning products, be sure to use UPS or other courier service that can provide you with a tracking number for your return. Concretecountertopsupply.com will not be held responsible for returns that are lost in transit and/or do not have proper tracking information. All products must be returned unused in original packaging and in resalable condition. We will not accept damaged merchandise that was not inspected by the customer on the original delivery and not claimed within 48 hours of receipt. If you can cancel your order that has been paid via credit card after 24 hours, a 5% processing fee will apply due to processing of credit card charges and refunds/credits. If you have any further questions regarding shipping and/or returns, please contact our customer service department at 815-276-0299. 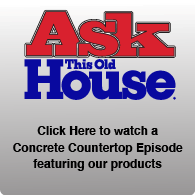 Concretecountertopsupply.com sells only first quality products from leading industry manufacturers. Most products are covered by the manufacturer's comprehensive warranties. No matter where you live within the U.S., the manufacturers provide complete and documented warranties with every product. If you have purchased a product from us and you find it to be defective within the manufacturers warranty period please contact the manufacture directly or our customer service department at 815-276-0299 for assistance in processing your warranty claim. Sealer warranty will be null and void if you choose to ship any sealer noted as DO NOT FREEZE, product must be shipped next day air to be guaranteed to arrive without freezing, if you choose to ship ground during the winter months we assume you are taking the risk and will not warranty your product if found defective from being frozen. We offer many different types of events & training which require a deposit to hold attendees reservation. 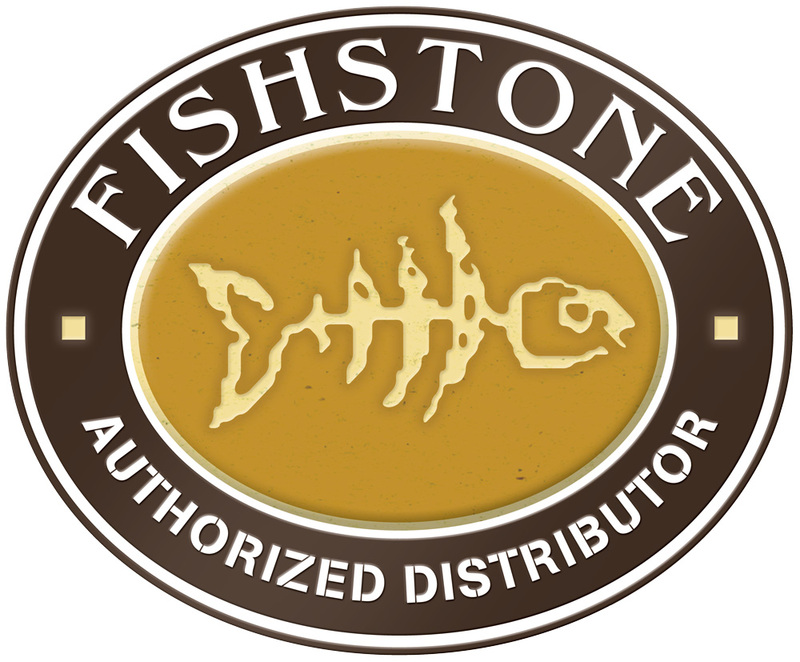 Training classes that do not meet the minimum seat requirement or have a schedule conflict with a guest trainer due to unforseen circumstances including weather acts of god or trainer illness can be cancelled by Fishstone. A full refund will be offered to anyone signing up for class that is cancelled or the payment can be applied to another future class. It is recommended to signup at least 6-8 weeks prior to the class start date to ensure a seat. If you must cancel a reservation before 4 weeks prior to class there is no penalty fee. If you cancel 4 weeks up to 2 weeks before class a 50% fee will be charged. No refunds are accepted after the 2 weeks before class. 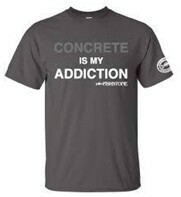 While we make every effort to ensure that the prices listed on our Web Site are accurate, concretecountertopsupply.com is not responsible for any typographical errors or prices listed in error.